It was postponed to tonight because of the rain in Korea series 4 which was scheduled to be held yesterday. Doosan, who was in crisis, changed his starter pitch to Ace Lindblum. I am a reporter. The KBO announced yesterday that it will postpone the fourth round at 4 pm in the forecast that it will rain all day and it will rain in the evening. The Korea Series 4, which was scheduled to be held yesterday, was postponed to tonight because of rain. Doosan, who was in crisis, changed his starter pitch to Ace Lindblum. The KBO announced yesterday that it will postpone the fourth round at 4 pm in the forecast that it will rain all day and it will rain in the evening. Doosan then changed his starter pitcher from Lee Young-ha to Ace Lindblum. Lindblum, who had two home runs in the first game and was a defensive pitcher, was originally scheduled for the fifth game, but because of the rain, he was able to play first and play in the seventh game. Doosan's fourth batter, Kim Jae-hwan, who suffered a stroke in his side, was diagnosed with a right-sided collateral damage on his right side. It is still unclear whether the match will be played or not. [Kim Tae-hyeong / Doosan Director: It seems like it will be difficult to get better easily in a day, (Kim Jae-hwan) If I get caught only by pain, I will go out for a game. SK will put the ace Kim Gwang-hyeon, who was originally scheduled, into the lead in the fourth leg. 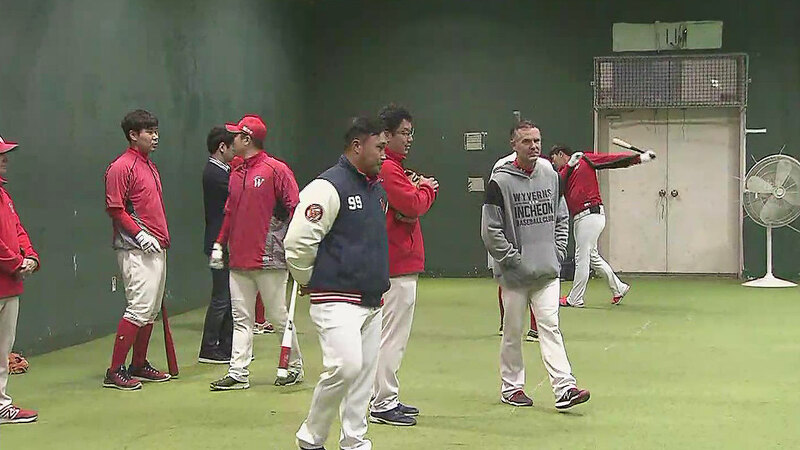 Sanchez and Kim Tae-hoon and other major relief pitchers will be able to rest one more day, and it is a nice feeling of rain. Both teams controlled their conditions with light training in the indoor practice field and prepared for the battle.